Microquasars are compact objects (stellar-mass black holes and neutron stars) that mimic, on a smaller scale, many of the phenomena seen in quasars. Their discovery provided new insights into the physics of relativistic jets observed elsewhere in the Universe, and in particular, the accretion–jet coupling in black holes. Microquasars are opening new horizons for the understanding of ultraluminous X-ray sources observed in external galaxies, gamma-ray bursts of long duration, and the origin of stellar black holes and neutron stars. 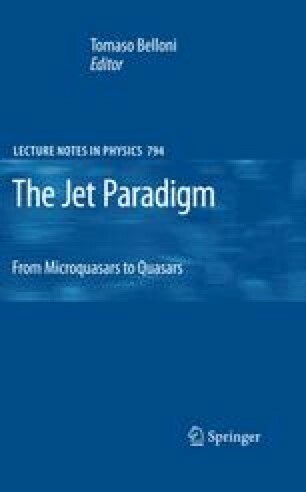 Microquasars are one of the best laboratories to probe General Relativity in the limit of the strongest gravitational fields, and as such, have become an area of topical interest for both high energy physics and astrophysics. At present, back hole astrophysics exhibits historical and epistemological similarities with the origins of stellar astrophysics in the last century.